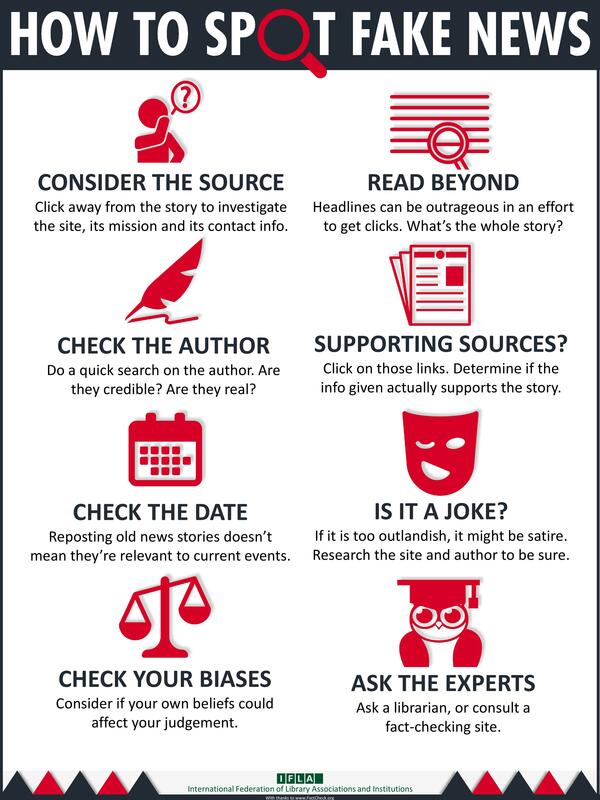 Why should you be fact checking? Isn't what is reported on the news true? Aren't all articles and journals reviewed? News can swing a certain bias or it can be reported before all the facts come in. There could be errors or information that doesn't get reported when a story breaks. For some organizations quantity is better than quality. Others will purposely write reports or articles with outlandish, shocking titles and information to lure you in. This could be to influence views to a certain website for advertising revenue or to convince you to buy a product. Peer reviewed journals and articles take time and not typically in general Google searches. It comes down to the user to evaluate what they find and to check it. It might seem like a lot of work, but you, your work, and other users all benefit from fact checking. Who owns the website posting the information? - You can find out at either http://whois.domaintools.com or at https://whois.icann.org. Both of these websites allow you to perform a WHOIS search. Whenever someone registers a website address, they are required to enter their contact information. When you get to your WHOIS search, enter in the domain (the first part of the website URL). This step can be used to collect all the information when you question a source, or the informations purpose. Take a look at these articles and evaluate whether or not they are fake or legitimately researched.